Immuron, an Australian biopharmaceutical company, has received approval from the Hadassah Medical Center’s ethics committee and Israel’s Ministry of Health to begin its first clinical trial with a new drug to fight a bacterial infection called Clostridium Difficile (CDI). 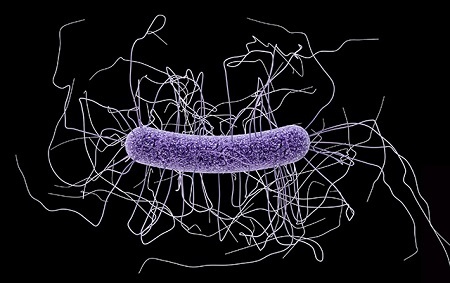 CDI, often also called C. difficile, is caused by a bacterial toxin that inflames the colon. It is especially found in hospitals and long-term, in-patient care facilities. Hundreds of thousands of people annually contract CDI and about 20 percent experience a recurrence. The new product, called IMM-529, is a naturally produced biological antibody, intended to prevent and treat CDI, as well as stop recurrence. As a polyclonal antibody, it generates highly specific antibodies to fight the three main sources of CDI: Toxin B, the highly infectious spores, and the vegetative cells in the gut. In addition, IMM-529 has been shown to rebalance the diversity of bacteria in the gut, which is often disrupted by antibiotics. This first-ever human study will assess whether IMM-529 is safe and well tolerated by the participants and will also evaluate the preliminary efficacy of IMM-529. Pre-clinical studies with mice at Monash University in Melbourne, Australia, revealed 80 percent efficacy in preventing and treating CDI and 77.8 percent success in preventing recurrence. The control group of mice, in contrast, which only received the standard-of-care antibiotic, vancomycin, experienced a mortality rate of 88.9 percent. In this human trial, 60 patients who have been diagnosed with CDI and treated with standard-of-care antibiotics, will be enrolled within three weeks of their diagnosis. Some will be randomly selected to receive IMM-529 three times daily and the others will receive a placebo for 28 days.